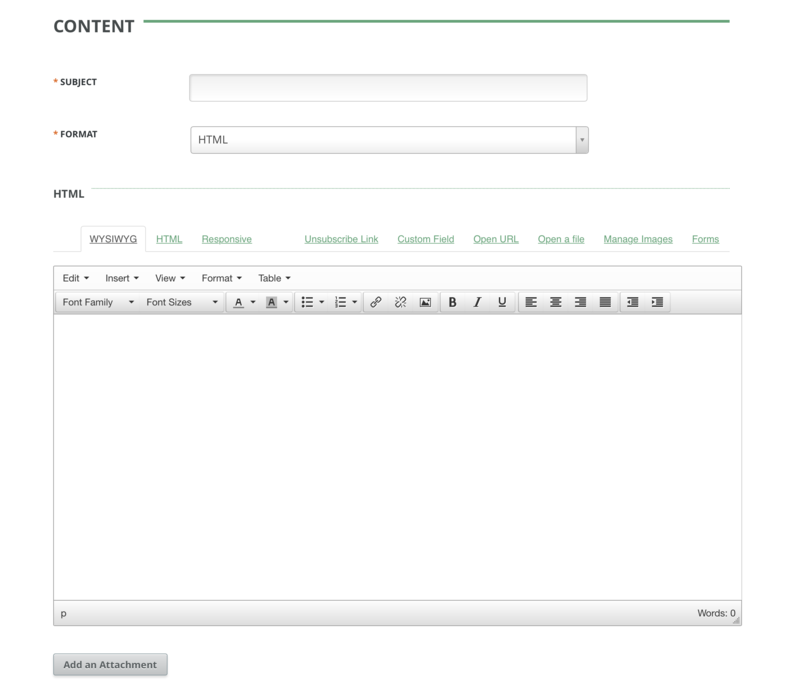 EDM Designer is a responsive content editor with which GreenArrow Studio can integrate. For Cloud customers, we provide integration with the EDM Designer at no extra charge. This is enabled by default. For On-Premise customers, GreenArrow Studio does not come with an API Key nor license for usage of EDM Designer. 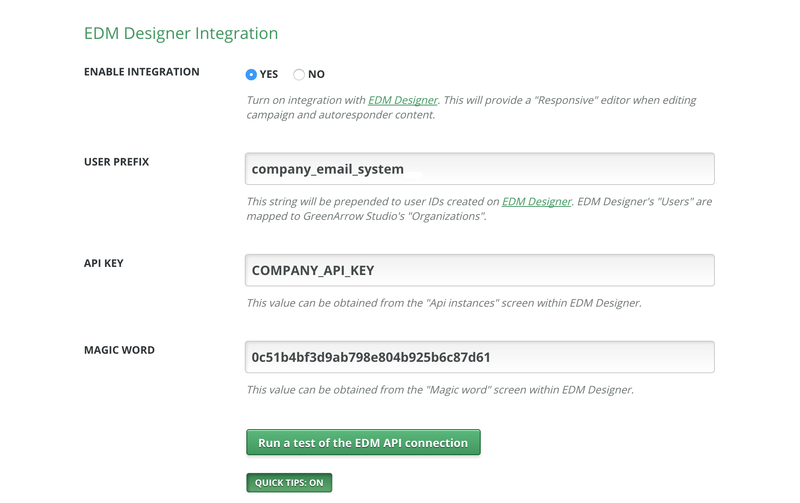 To enable integration, an EDM Designer API Account must be purchased separately from EDM Designer. We do not provide support for EDM Designer. However, if you encounter what you believe to be an integration issue, please open a Support Ticket detailing the issue, then use the WYSIWYG editor while we investigate. Our integration with EDM Designer works with their API as of April 1, 2017. We cannot guarantee compatibility if EDM Designer makes reverse-compatibility breaking changes to their API. In order to enable EDM Designer in GreenArrow Studio, navigate to the System Configuration page. In the “Content” section of this page are configuration settings for enabling EDM Designer. Enter an optional user prefix (see below), API Key, and Magic Word (obtain these from EDM Designer). Click Run a test of the EDM API connection to verify that your credentials are valid. Once your settings appear correct, save the new system configuration. 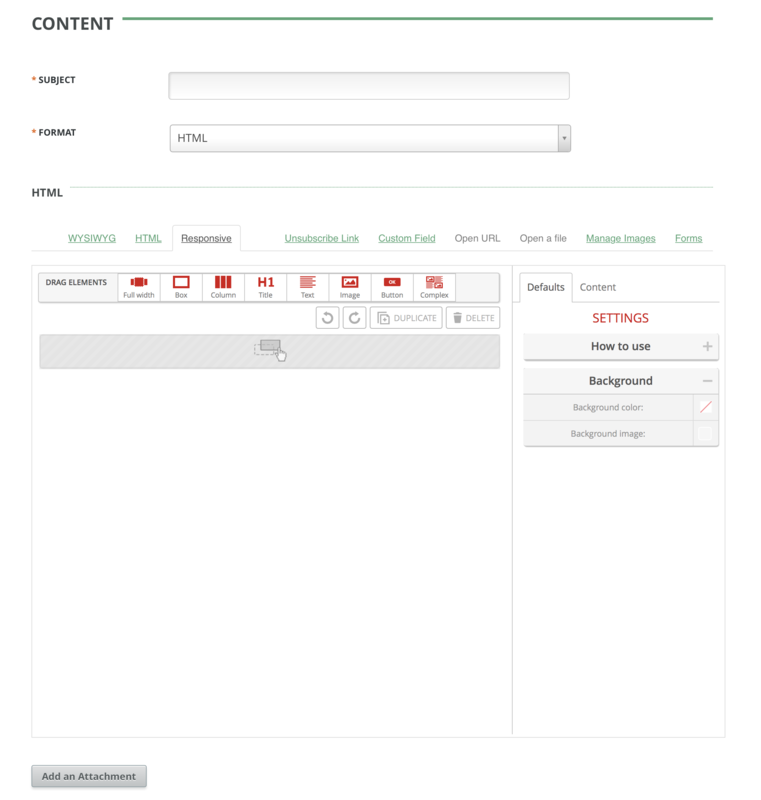 After enabling EDM Designer Integration, a Responsive tab will appear in the campaign content editor. Clicking on the Responsive tab will activate EDM Designer. Campaigns with content created by EDM Designer can be converted into a standard WYSIWYG / HTML content. However, content created in WYSIWYG / HTML cannot be imported into EDM Designer. EDM Designer supports a concept of “Users” that GreenArrow Studio maps to its “Organizations”. Individual “GreenArrow Studio Users” do not have unique “EDM Users”, but rather, are associated with contents through their “GreenArrow Studio Organization”. The user prefix is used to be able to support multiple installations or usages of EDM Designer from a single API account. With a user prefix set, this installation of Studio will only manage EDM Users that match this prefix. Additionally, any EDM Users that Studio creates for Organizations will have this prefix prepended. Any EDM Users that were already created will not have their EDM Username changed if the user prefix configuration is changed. An example of a useful prefix is something like drh_daily_news_corp. For this prefix, an example of an actual created user is drh_daily_news_corp__user123 for an Organization with id 123. User Prefix can be no longer than 32 characters and may not contain double underscores (__).